Mitral cardiac valve, mitral transcatheter procedure, mitral valve replacement. Epygon Italie S.r.l., established in March 2015, is the Italian R&D branch of Epygon S.a.s., located in Paris, France. 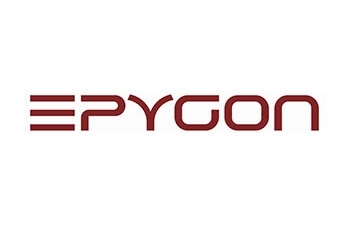 Epygon is active in the biomedical field and, in particular, it is currently focused on the development of a mitral bioprosthetic cardiac valve implantable trough a minimally invasive transcatheter procedure. The company has been founded by professionals with long-term experience in cardiovascular R&D programs on prosthetic heart valves. The lack of effective clinical solutions for high-risk patients with mitral insufficiency has induced Epygon to conceive a bioprosthetic mitral valve with clinical performances as close as possible to those of native mitral valve. The Epygon’s bioprosthetic valve is in fact conceptually retaining some physiological elements of the native valve such as a “D-shape” to best fit the mitral annulus, a functional monoleaflet to provide the most physiologic haemodynamics and an asymmetric profile avoiding any interference with the left ventricle outflow tract. The Epygon’s valve is manufactured with bovine pericardial tissue, acting as a functional component supported by a self-expandable valvular stent made with a memory-shape metallic alloy. Currently, Epygon is in the pre-clinical development phase, and it has established an internal manufacturing activity of valve prototypes. Epygon is currently pursuing the next step of its development program towards a first in man implant and CE mark.